Call or visit our Box Office Monday-Friday, 10am – 4pm (except holidays). We accept Visa or Mastercard; we also accept cash when you purchase tickets in person. NOTE: Summer Concert tickets are not available through the Montalvo Box Office and must be purchased online through Ticketmaster. The Box Office is open one hour prior to showtime for most events. Please be prepared to present valid ID when picking up Will Call tickets. Tickets can always be purchased online through our event pages. Service fees may apply. For information about the Carriage House Theatre and a seating map, click here. For information about the Lilian Fontaine Garden Theatre and a seating map, click here. 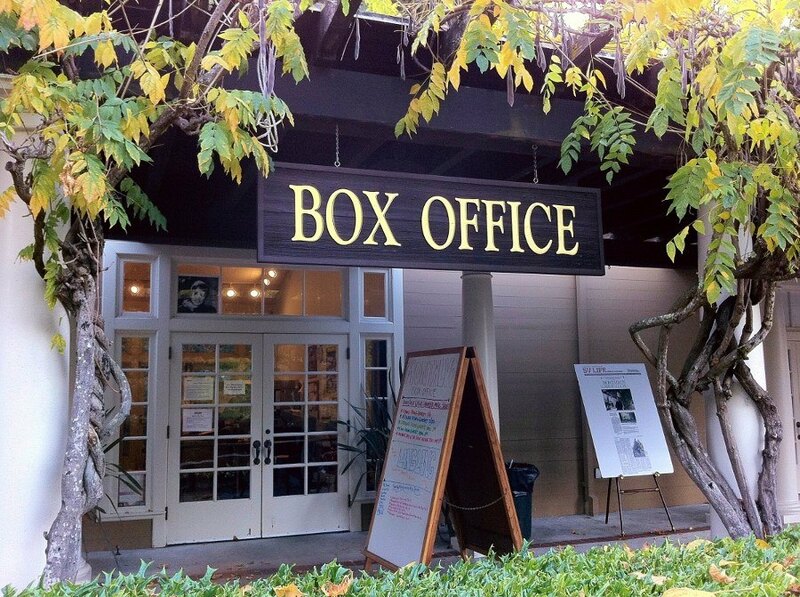 For information about other venues at Montalvo, click here. When you order your tickets online or at the Montalvo Box Office, you are automatically added to our mailing list for future mailings, and to our email list to receive our weekly newsletter and other promotional materials. You will be given the option to opt out of the email list during the purchase process. Once you have purchased your tickets, there are no refunds or exchanges allowed. Please check your ticket information carefully when purchasing.